What chance does the UK have in Eurovision this year? We’re counting down to the 64th Eurovision Song Contest, and the UK has decided on who will be their representative in Tel Aviv. Six hopefuls battled it out by showcasing three potential songs. Ultimately, a public vote selected Michael Rice to sing Bigger Than Us. 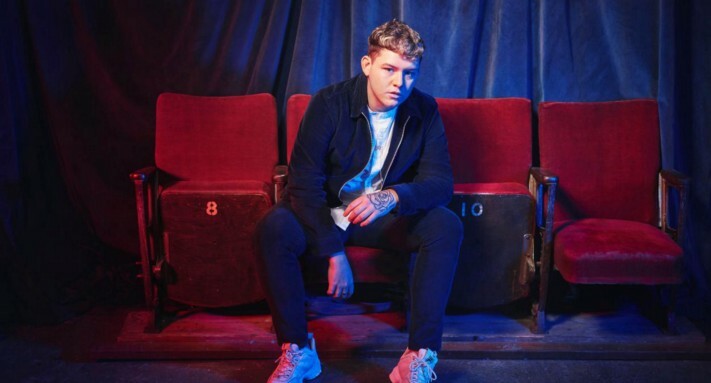 Rice is from Hartlepool in the north-east of England, who began is music career by winning the television contest All Together Now in 2018. Written by Laurell Barker and Jonas Thander, it’s not totally clear what the song is about but it’s a ballad that includes a key change and has a big finish. Hosted by Eurovision 2015 winner Måns Zelmerlöw, the UK selection show included performances by Netta — who performed her 2018 winning song Toy — and last year’s UK representative SuRie who performed a stunning ballad version of her entry Storm. There was also an appearance from Bucks Fizz as well as Katrina Leskanich, who joined Zelmerlöw in a rendition of Love Shine A Light — the UK’s last winning Eurovision song, back in 1997. With the victory by its representative Netta in 2018, Israel became the host of the 2019 Eurovision final. Tel Aviv has been confirmed as the host city. Israel continues to resist criticism of its treatment of Palestinians in the West Bank and Gaza, and critics of the Israeli government are citing the embrace of Eurovision as further evidence of ‘pinkwashing’ the countries problematic record on human rights. Most participating countries are now finalising who will be representing them in the competition. Early favourites appear to be Russia, Australia, Finland, and the Netherlands, but it’s early days and it’s all to play for as everyone hits the promotional trail to build some momentum going into the competition in Tel Aviv.